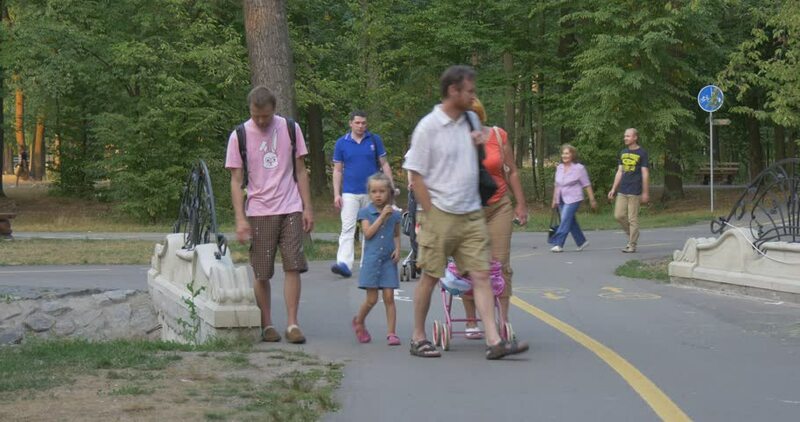 BUCHA/UKRAINE - JUL 19 2015: A family is on a holiday in a park, little girl drives a baby carriage, other people walk near, mid-shot, day, Ukraine. hd00:27Kiev, Ukraine - June, 05,2017: Street musician playing music in the park. Children dance to the music. hd00:09EVENTS IN LJUBLJANA JULIJ-AVGUST 2016 Tourists are walking and looking around on Love bridge. It is a really nice summer day. Wide-angle shot.